Likes- Hacking out, galloping round the field, being with friends. Dislikes- Being cold, farriery visits, being left alone. When Mona came to us she was in poor condition and was very thin with mud fever on all four legs. She was difficult to ride and was cold backed. She had to be sedated for the farrier and was very nervous. Mo has been off with lameness for a while and is currently at grass fattening up ready to get back into work. She is working well in walk and trot but is very nervous in canter and over jumps so will take a lot of work at this stage of her training. Mo has little experience of shows and can get very worried but is simply lacking experience and should improve once given the chance. We plan that in the future Mo will be brought back into work and will continue to be able to complete in all disciplines. Mo is particularly talented at dressage as she has lovely paces but is currently too tense when she gets to shows to show this to her advantage. 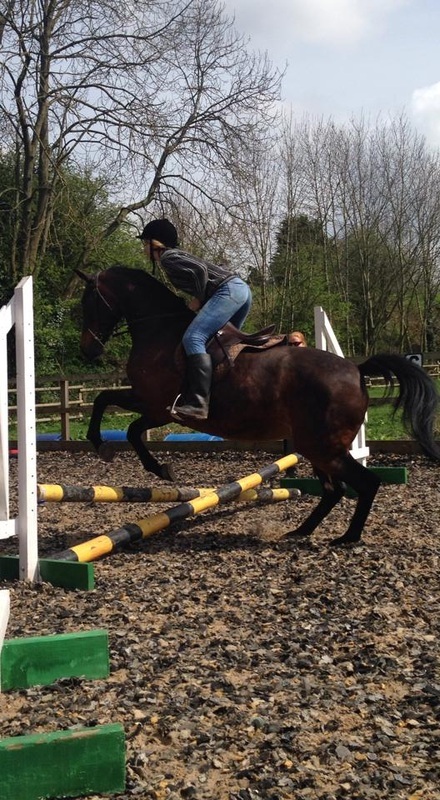 Mo is also a good jumper and will hopefully compete well at this as her training progresses. 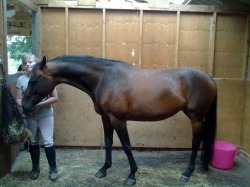 Eventually she will be a good horse for more experienced riders and NVQ students to train and compete on. Mona is doing really well at the moment as she is back in work and is doing well in walk trot and canter as well as over small jumps. 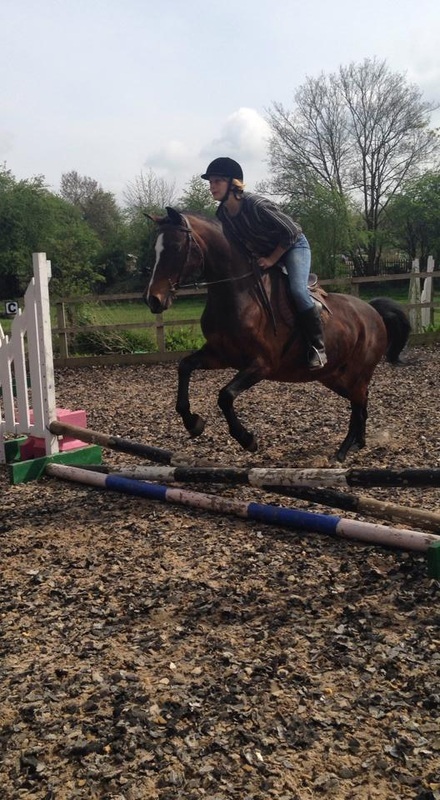 She is a sensitive ride and as such is not suitable for beginners but she is very good for more experienced riders.